Please read before completing the application form. I'm looking for a keen macerator engineer/plumber to work in high-end residential clients homes providing a prompt and professional service. You will need to be confident in peoples homes and carry clean dust sheets and a wet and dry vacuum for siphoning water from bowls etc. Please don't apply if you aren't 100% committed. This would be a part time job of around 20-30 hours per week depending on your other skills. Works will take place in various properties in the North London area with most of the work taking place in Muswell Hill, Highgate, Crouch End, Holloway, Hampstead and East Finchley. Work is offered on a 'Self Employed' basis. I will need to see your passport or driving licence and a photo will be required. 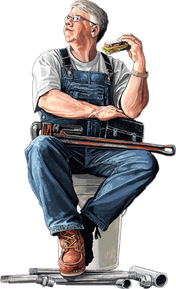 You should be proficient in all plumbing and macerator repairs. You must have a working mobile. You must have recent references. You must have all your own tools. I won't pay for shoddy or non existent work. No drinking during the day.